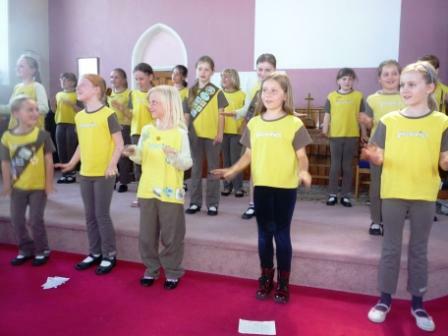 As part of the Big Brownie Birthday (BBB) Challenge, Brownies from the East Cowes Unit decided to help raise money for the Ellen MacArthur Cancer Trust. 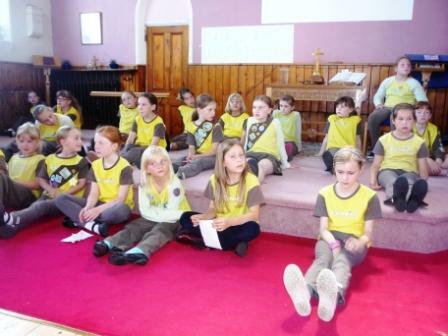 This charity was selected after much discussion and the Brownies chose to support this charity as they could relate to it. 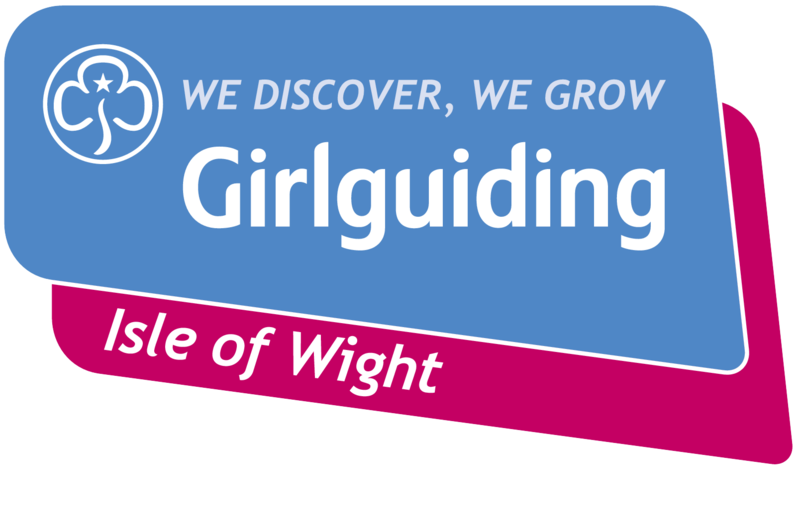 Although based in East Cowes this is a national charity that supports children and young people who are recovering from cancer and related medical conditions by getting them interested in sailing and taking up the challenge of learning to sail. 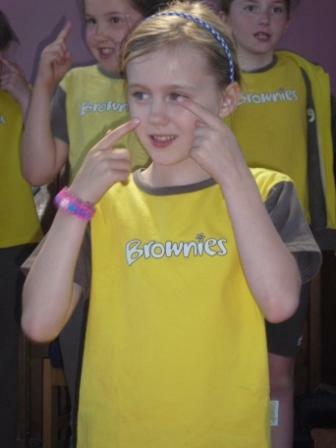 Most of the Brownies wrote poems as part of their Writers Badge which they sent to the Ellen MacArthur Cancer Trust with a promise to hold a fund raising event. 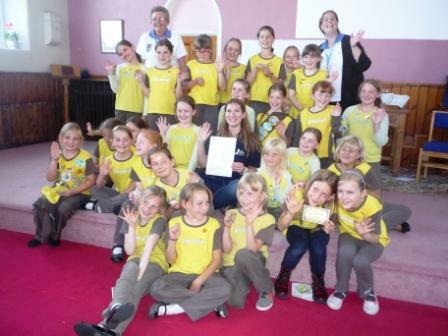 After members of the Trust had read all the poems they were returned to the Brownies and at a special presentation evening Suzy Raymond from the Trust presented the Brownies with a framed Thank-You letter hand written and signed by Dame Ellen. 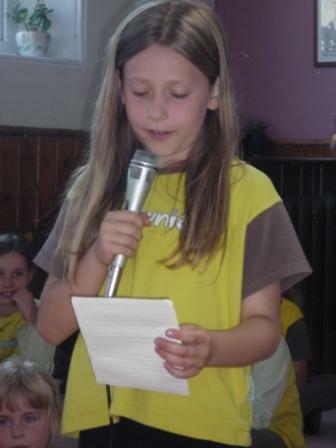 During the presentation evening some of the Brownies read their own poems to the invited audience of parents and friends as well as singing songs with a nautical theme. 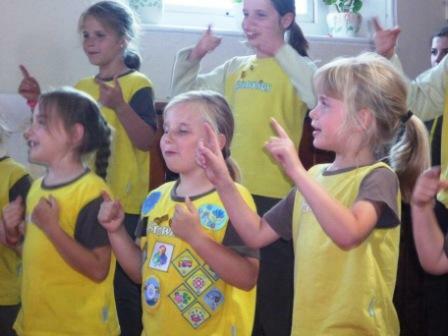 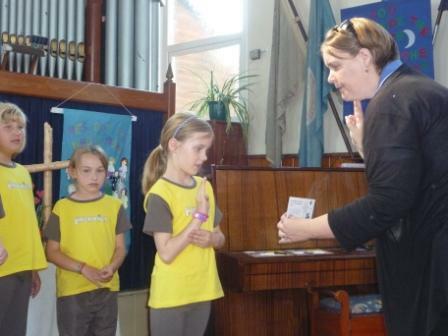 There was a Promise ceremony for four new Brownies and all the other girls received badges that they had gained during the past few months. 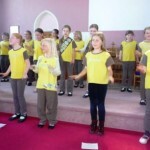 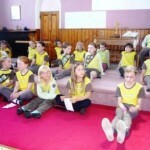 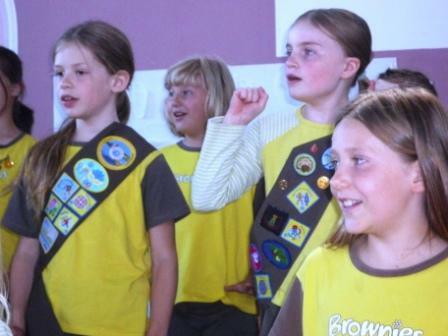 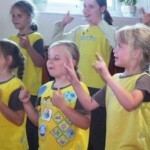 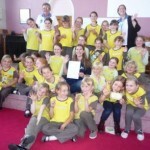 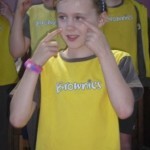 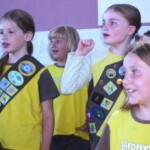 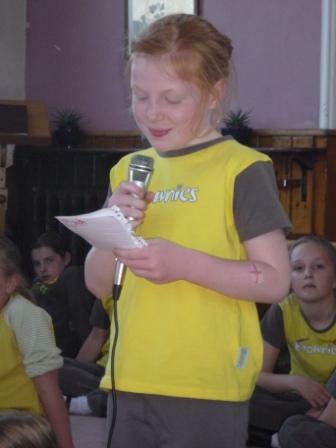 During the evening Brownies acted as hosts for the event and gained their Hostess Badges. 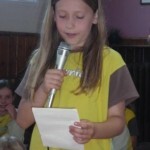 Following the presentations everyone was invited to the sale and tea and cake evening to raise the funds for the charity. 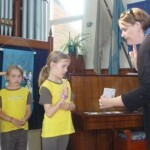 There were also games based on the nautical theme. 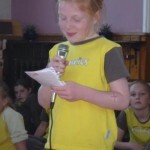 When monies were totalled £100 had been raised so this will now be sent to the Ellen MacArthur Cancer Trust.